Read our report on our fascinating Industry Day at Abbey Road Studios. MRL and Music Department folks have started collaborating on Losing Her Voice, a new opera being written and composed by Elizabeth Kelly (Director of Composition). Losing Her Voice focuses on the life of opera diva Geraldine Farrar who transitioned from the stages of international opera, to being one of the first Hollywood silent movie stars. The work aims to re-animate archival media and position the audience as ‘Gerry flappers’, where they take part in the performance of the work from the screens of their own devices. The premiere performance of Losing Her Voice will be at the Lakeside Arts Centre, on the 6th and 7th April 2019. I’ll be posting updates on the progress of our work. Maria Kallionpää and the MRL team presented the third performance of Climb! at the Reflective Conservatoire Conference today. The event was held at the Guidhall School of Music and Drama, at the Barbican Centre, London. It was a great mix of talks and performances… or so I heard, as unfortunately we spent all day preparing for our performance! Setting up in readiness for Climb! 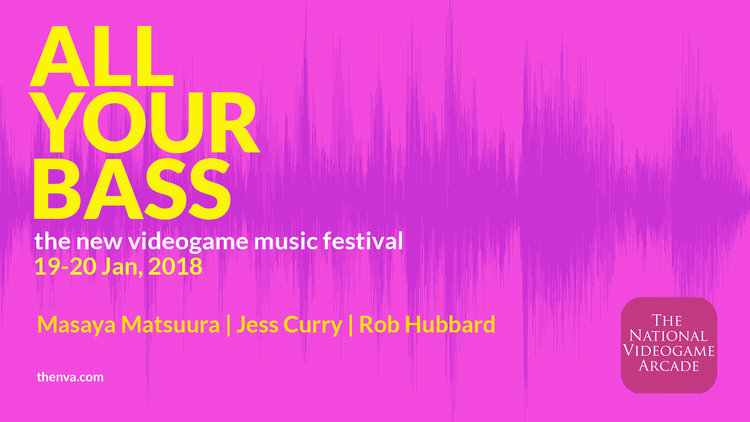 The Mixed Reality Lab in collaboration with the National Video Game Arcade and the Theatre Royal and Royal Concert Hall, Nottingham present two exciting activities scheduled for ‘All Your Bass’, a new videogame music festival in Nottingham. 1 – “Climb!” for Disklavier and Electronics, performed by Anne Veinberg and Zubin Kanga. 6pm, Friday 19th January at The Royal Concert Hall, Nottingham. Free entrance. 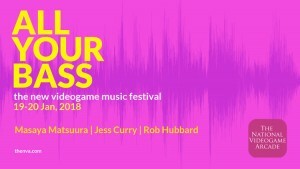 Bringing a new perspective to the influence of videogames on classical music composer Maria Kallionpää, the University of Nottingham’s Mixed Reality Lab and University of Oxford’s e-Research Centre present their recent collaboration “Climb!” for Disklavier and Electronics. “Climb!” is a virtuoso piece composed for live pianist, a self playing Disklavier piano, interactive system and visuals which combines contemporary piano repertoire with elements of computer games to create a non-linear musical journey in which the pianist negotiates an ascent of a mountain. Along the way the performer encounters musical challenges that determine their route, battle through uncertain weather conditions, and come face-to-face with animals and other obstacles that block their path. Pianists Anne Veinberg and Zubin Kanga present two back-to-back performances of “Climb!”, each finding their own route up the mountain. “Climb!” is supported by the EPSRC-funded FAST project (EP/L019981/1) and University of Nottingham’s Research Priority Area (RPA) Development Fund. Specially crafted spoken stories and original music accompany you as you walk, immersing you in a rich sound world controlled by your movements and your location. View the City Centre streets through a new lens and peer into the lives of the people you meet along the way. Original texts written by members of the University of Nottingham Creative Writing Society, Jocelyn Spence and Adrian Hazzard. Original music composed by Adrian Hazzard and James Torselli. This work is supported by the Horizon Centre for Doctoral Training at the University of Nottingham (RCUK Grant No. EP/G037574/1) and the EPSRC-funded FAST project (EP/L019981/1). The composer’s view of Climb! Read composer Maria Kallionpää’s thoughts about her composition, Climb! University of Nottingham, 8 June, 5 pm. Composer and pianist Maria Kallionpää will give the first performance of Climb!, her new interactive work for piano, at the University of Nottingham on June 8th. Climb! combines contemporary piano with elements of computer games to create a non-linear musical journal in which the pianist negotiates an ascent of a mountain, choosing their path as they go and encountering weather, animals and other obstacles along the way. Climb! employs the Mixed Reality Lab’s Muzicodes technology to embed musical triggers within the composition. Like hyperlinks, these may transport the player to another point in the score when successfully played, and may also trigger additional musical effects or control visuals. Climb! 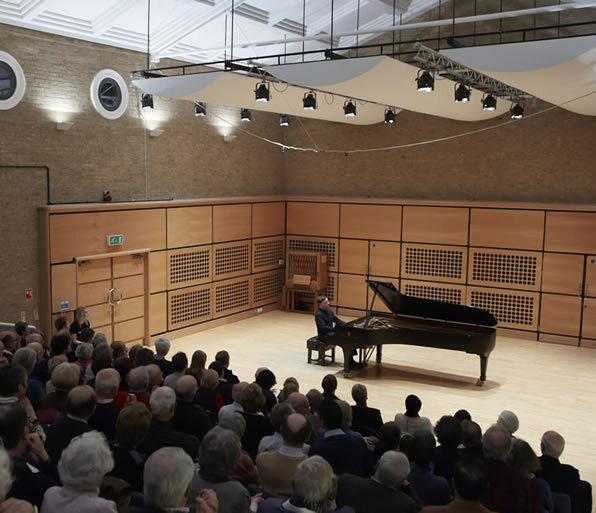 also uses a Disklavier piano which physically plays alongside the human pianist during key passages, engaging them in a human-machine musical dialogue. The interactive score is delivered using The University of Oxford’s MELD dynamic annotated score renderer. The performance is part of the Nottingham Forum for Artistic Research (NottFAR) concert and events series. Climb! is supported by the EPSRC-funded FAST project (EP/L019981/1). Here’s a link to an interview with me, talking about my role in the EPSRC FAST project.